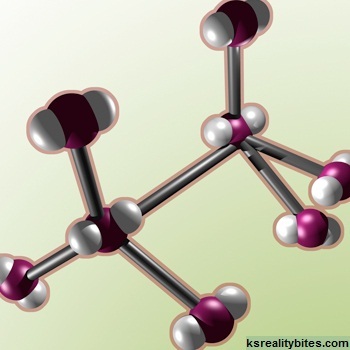 KSRealityBites: Tiny RNA molecule could prevent cocaine addiction! Tiny RNA molecule could prevent cocaine addiction! FLORIDA: Researchers 've found that a specific & remarkably small fragment of RNA appears to protect rats against cocaine addiction & may also protect humans. The discovery could lead to better ways of predicting drug abuse risk & treating addictions. In the study, researchers at The Scripps Research Institute in Jupiter, Florida found that cocaine consumption increased levels of a specific microRNA sequence in the brains of rats, named microRNA-212. As its levels increased, the rats exhibited a growing dislike for cocaine, ultimately controlling how much they consumed. On the other hand, as levels of microRNA-212 decreased, the rats consumed more cocaine & became the rat equivalent of compulsive users. The study's findings suggest that microRNA-212 plays a pivotal role in regulating cocaine intake in rats & perhaps in vulnerability to addiction. Interestingly, the same microRNA-212 identified in this study, is also expressed in the human's dorsal striatum, a brain region that has been linked to drug abuse & habit formation. "This study enhances our understanding of how brain mechanisms, at their most fundamental levels, may contribute to cocaine addiction vulnerability or resistance to it," Nature quoted National Institute on Drug Abuse (NIDA) Director Dr. Nora D. Volkow, as saying. "This research provides a wonderful example of how basic science discoveries are critical to the development of new medical treatments and targeted prevention," he added. Current data shows that about 15% of people who use cocaine become addicted to it. The findings suggest that microRNAs may be important factors contributing to this vulnerability. The study is published in the journal Nature. "The results of this study offer promise for the development of a totally new class of anti-addiction medications. Because we are beginning to map out how this specific microRNA works, we may be able to develop new compounds to manipulate the levels of microRNA-212 therapeutically with exquisite specificity, opening the possibility of new treatments for drug addiction," said Paul J. Kenny, senior author on the study.